In the dark ages, you could only sell your stuff by having a garage sale, and chances are, you’d spend countless hours sifting and organizing only to get fifty cents for those $70 boots you wore twice. Then when the internet was invented, you found Craigslist. Except you had to sift through countless emails to find a “serious” buyer who then never showed up, making you start the selling process all over again. So you might have turned to eBay, only to lose such a large portion of your revenue to Paypal fees and eBay’s cut. Thank goodness for living in the future, as we have more options than ever before. These days, strategic sellers are starting the sales process straight from their phones. Selling your unwanted stuff has been made super convenient. 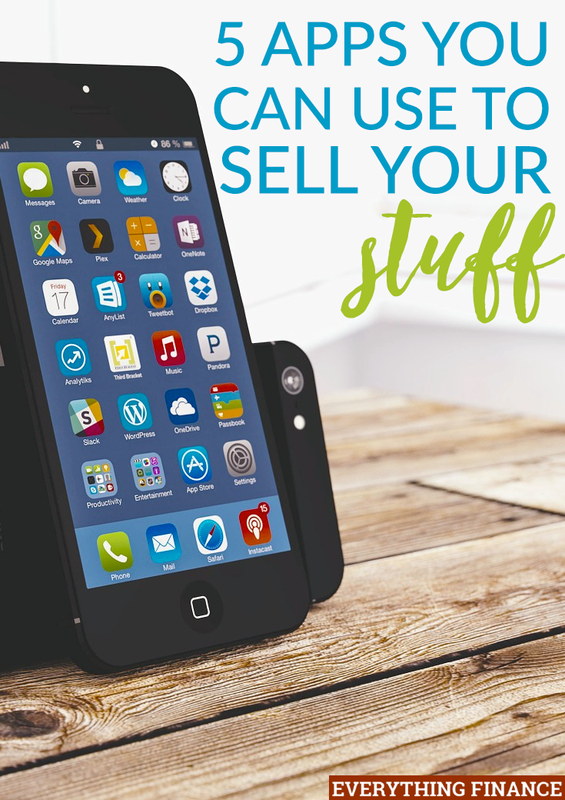 Just use these 5 apps to sell your stuff online. Close5 allows you to buy and sell stuff locally. List your items by taking a photo, set your price (or select “best offer”), and see what people will offer and post! You can even share on Facebook to show your friends and family in case they’re interested. It literally takes about 30 seconds to post your items. Then just sit back and wait for the offers to pour in. You can accept or reject right from your phone. OfferUp works similarly to Close5. Both offer very good security to buyers and sellers by allowing you to send secure messages and protect your safety. The process to sell is as simple as Close5, and OfferUp allows you to post to all social media channels, such as Facebook, Twitter, and Pinterest. You can also email or post on Craigslist. It’s like maximizing your selling channels all in one place! Take your selling from Facebook to VarageSale. This app offers security by forcing people to use their Facebook profiles as logins. This ensures some measure of security by knowing you’re dealing with a real person or fellow neighbor that is also trying to sell their stuff and make money or find a bargain. Post your items by category and include lots of keywords to increase your selling power. Letgo recently acquired Wallapop in the quest to be king of the mobile classifieds apps. While the app also boasts the ability to post items for sale in 30 seconds or less, there tend to be more complaints about using this app. Mainly, the poor search filters, and inability to view price and description unless you click on the photo. Keep an eye out for updates and use it if you haven’t had any luck on the other apps listed here. You can use ThredUp to sell clothing for women and children online, it has some of the best app store optimization. It actually requires you to gather your items and send them to the retailer, who will then decide what they keep and sell, and what will go to charity (or you can have items shipped back to you for a charge). Complaints on this app include only being offered a very small amount for like-new quality clothing. You may want to choose one of the other apps listed on this page before resorting to ThredUp, especially if you’re selling name-brand clothing. What apps have you used to sell your old stuff? Do you prefer Craigslist or eBay to these alternatives? can’t compete with candidates with clean records. 240 in Memphis, serves over 10 million fliers a year. jury must be unanimous in its verdict to either convict or acquit the defendant. Hi there to all, as I am genuinely eager of reading this web site’s post to be updated regularly.